Wohoo another Free Sample offer today! 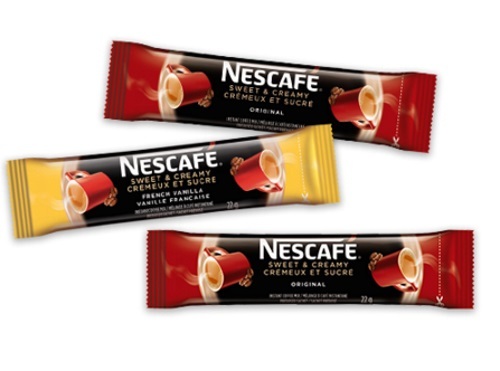 Claim your Free Sample of Nescafe Sweet & Creamy Packets at the link below! Just add the item to your cart, no purchase/payment is needed! Available while quantities last. Check back often, it looks like they are replenishing stock from time to time. If you get an error message that means they are gone for the day. I post on our social media whenever they are available again, follow us on Facebook and Twitter to get notified. Update April 23 - Just got an email that my sample order has shipped. Check your email to see if you got it too! Thank you for posting this again, I managed to get it the second time around. Sounds like you just missed it. However, if you follow the link you'll see that they posted samples are out for now and there will be more tomorrow. I will report back on our social media when/if these become available again. Our links always work, sometimes offer finish quickly or allotments for that day are gone.